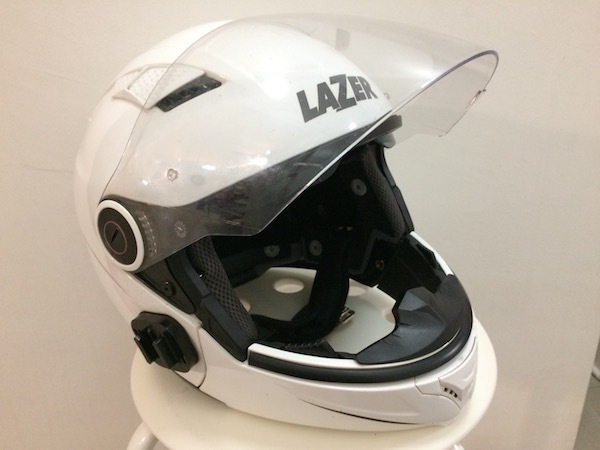 After some initial research, I purchased the Lazer Corsica Z-Line convertible helmet sometime earlier this year. I got it at a decently good deal from Regina Specialities. I think it was something like S$120 or so. Hey! And it’s PSB-approved too! That means it’s fully road legal in Singapore. I liked it for it’s convertible feature – the removable chin bar converts the helmet from a full-face to an open-face quickly. Perfect for greater protection when required and functions as an open-face during those hot mid-day sunny weather. The PSB-approved Lazer Corsica Z-Line convertible helmet with chin bar attached. Anyway, I took it along with me on my 2-month SE Asia tour and it functioned beautifully. Perhaps the only complaint I have is that it’s a little too loud at highway speeds. But nothing a good set of foam earplugs cannot solve. The helmet was used heavily, but most definitely not abused. But at less than 1 year old, it’s beginning to show signs of deterioration. And I’m not happy with this. The faux leather on the cheek pads is showing signs of cracking. The faux leather on the chin strap cracked so bad, it started to peel. Not just one, but BOTH sides of the chin strap’s faux leather has cracked and peeled. Bad choice of material. The Lazer Corsica Z-Line uses some cheap faux leather to line various parts of the helmet – chin straps and various cushioned pads. The problem with such faux leather is that they do not last, and tend to crack, tear and peel. And once that starts to happen, it makes a mess of the helmet with its peeling flakes. Obviously, Lazer has decided to go cheap here. 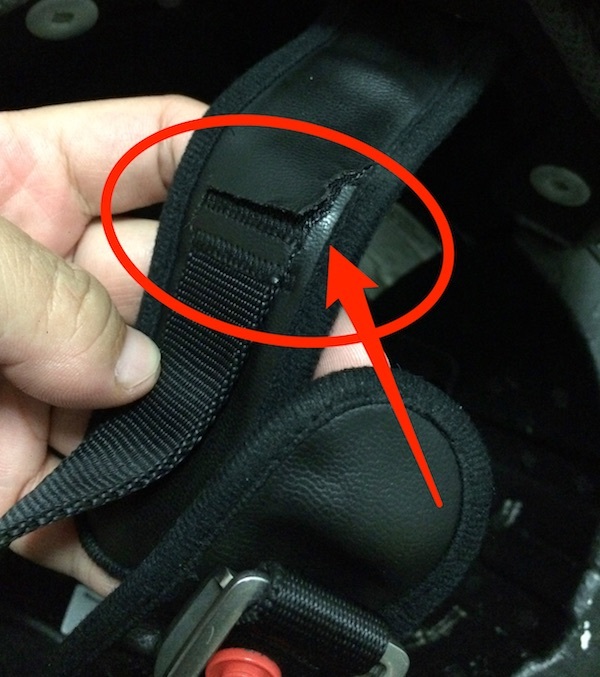 The holding nut of this visor screw came loose – I’m now unable to completely remove the visor. 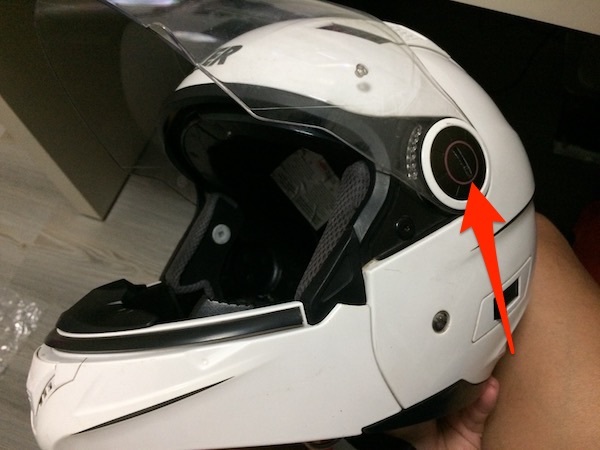 Next, I’m now unable to completely remove the helmet visor, because the left side of the screw mount (on the INSIDE of the helmet) seem to have come loose. 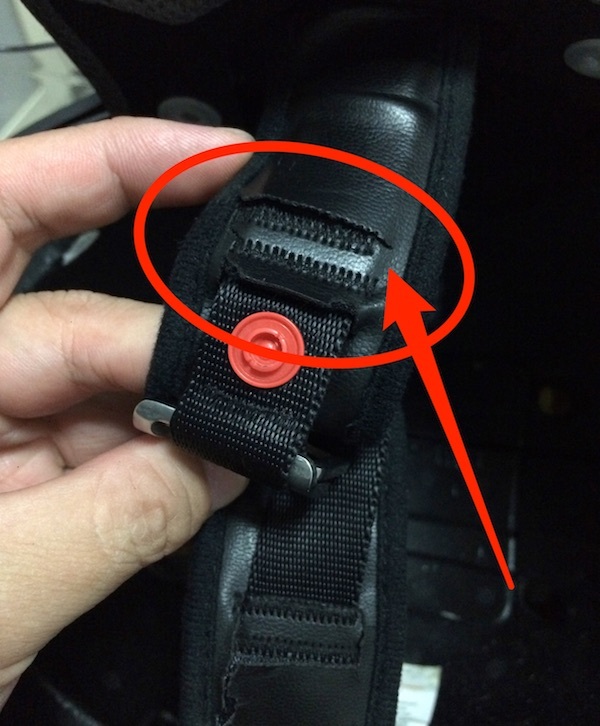 While I may be able to tighten that screw (thankfully), attempting to unscrew it results in the holding nut on the inside of the helmet turning together with the screw. So I can go on and on and on rotating the screw anti-clockwise, but it would never come out. While this doesn’t affect the usability of the helmet, it certainly makes cleaning the visor quite a bit more difficult. The cheek pads may be replaceable. I’m not too sure about the chin straps. But if the visor is unremovable now, I can’t even try to repair it. Well, perhaps you really get what you pay for. It’s a cheap helmet, and I should have known better. But still, it did serve me well, and we’ve travelled some 20,000km together. Perhaps it’s time to hunt for a new helmet. I don’t mind splashing out for a good shell. But my main fear is this… Would those expensive helmets suffer a similar fate with faux leather peel too? hi, i am tempted to get this helmet actually. Is there any caps to cover the holes for the chin guards when they are not placed on? No, it doesn’t have end caps. It’s actually also quite a bit louder than even my cheap $30 MHR helmet I used for my 2B lessons. And together with the quality issues – all experienced within the 1st year of ownership, I really wouldn’t recommend this model. If you’re at the learning phase, I’d recommend that you just get the cheap helmet. 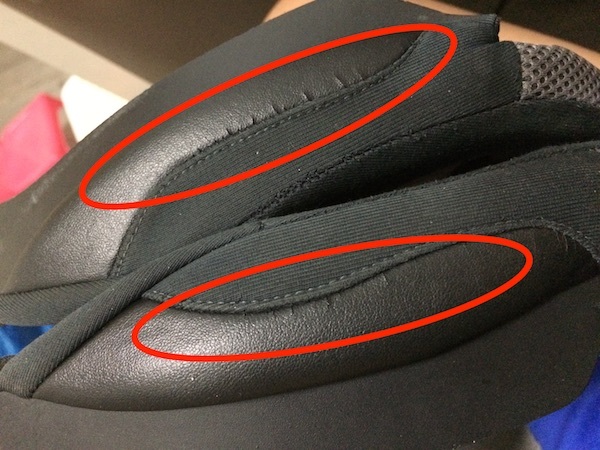 Again, I cannot recommend this particular Lazer Corsica Z-Line helmet – because of its quality issues. Anyway, the CB190R initially caught my interest too. But after looking at the specs – air cooled, 15.7hp, and Chinese-made. Compared to the liquid-cooled 200NS with about 24hp, it seem quite lacking in the horsepower aspect. Simple math reveal the 200NS have >50% more max hp! Heck, even the CBR150R at 18hp seem to beat the new, CB190R with bigger engine; although the CB190R has slightly higher torque (15Nm vs 12.7Nm). But the 200NS have about 18Nm of max torque – some 20% more than the CB190R, and a whopping 50% more than the CBR150R! I don’t know about you. But I’m also quite a specs guy. So for small displacement (2B) bikes, every little bit of extra hp or torque can be felt – especially important if you’re interested in touring with it. all you need is time . I’ll wait a little while if I were you – there are rumours that Bajaj might add ABS to the 200NS. I use a Shoei Brand. Cost a bomb when i got it new. Within the first year, I have worst problems than what you are experiencing. Chin strap peeling on both sides, cracking and peeling faux leather at back of head area. paint on the helmet surface starts to peel off. Even my Air vent (air vent entrance on top of helmet) equipment is loose and feel like it will fall out soon. I have been using it for 3 years and it should be replaced for safety reasons. Overall i still love the helmet.. visor mechanism is awesome still.. air travel in the helmet is great.. noisy cancellation still great. Which Shoei model are you using? Previous Previous post: Resurgence Jeans – The most technologically advanced pair of riding jeans? Next Next post: You VEP Me? I VEP You!